Tinakilly House was constructed for Captain Robert Halpin, who was born in Wicklow Town and who succeeded in becoming Commander of The Great Eastern when it laid most of the world’s transoceanic telegraph cables. The cable connecting Europe to America was laid in 1866 from Valentia Bay in Ireland to Hearts Content in Canada. A section of this cable and a fine colour print of The Great Eastern can be seen today in Tinakilly Country House Hotel & Gardens. Most of Captain Halpin’s memorabilia is in the National Maritime Museum in Dun Laoghaire. Halpin is reputed to have been given an open cheque by the British Government to build his new mansion in gratitude for his contribution to improving world communications and thereby world trade. He recruited the then very fashionable Irish architect, James Franklin Fuller, to design the house. The timber, which is so evident and gives such character, was selected in London by Halpin. The doors on the ground floor are of Burmese mahogany with many panels of different woods, the best of which are in “birds eye” maple. The architrave’s, window shutters and stairs are in American pitch pine. Fireplaces were imported from Italy with the exception of the drawing room where a fine Georgian one graces the room. In 1870 the land extended to 400 acres, two Head Gardener’s were employed, one for inside the walled garden to grow fruit and vegetables and the other to supervise the seven acres of pleasure gardens. There are fine stands of beech eucalyptus and evergreen oak while two giant sequoias (American Redwood) are at either end of the old tennis court. The site chosen for the house is on elevated ground two miles north of Wicklow Town, overlooking Broadlough Bird Sanctuary and the Irish Sea. Halpin married the daughter of a wealthy Canadian whaling merchant. They had three daughters, the youngest of whom, Belle, lived in Tinakilly until the early 1950’s. Captain Halpin died at the young age of 58 from blood poisoning after cutting his toe. In 1949 the house and lands were purchased by Augustus Cullen, a Wicklow solicitor. The Trustee’s sold on condition that Belle Halpin retain the house for her lifetime, which she did until 1952. Rumour has it that her ghost continued to occupy the house as well as Miss Halpin’s housekeeper – hence the Cullen’s never took occupation. During the last six years of Mr Cullen’s ownership, the house was only used in the summer when it was rented by a group of Jesuit priests for summer retreats. Any ghosts quickly departed. In 1959 the house and lands were sold to Mr Gunther Smith whose nephew, Mr Heinrich Rolfe, inherited the property in 1962. His wife ran the house as a guesthouse while Mr Rolfe concentrated on farming. A colourful Frenchman called Jean Claude Thibaud then rented the house and ran it as a “Restaurant Francais”. A thatched cottage bar was constructed in the hall while stucco plaster on the dining room walls appeared to give an effect of “waves by the sea”. One day Jean Claude discovered his kitchen chimney was blocked by the home of a family of building crows. Not wishing to climb out onto the roof to discover which of the 36 chimney pots needed freeing, he took a sledgehammer to a top floor bedroom and through the flue of a fireplace allowing the smoke into the bedroom. He then opened the window and closed the door. A French solution to an Irish problem. In 1978 an Irish couple, Dermot & Anne Garland, who had experience in running the Pembroke Restaurant in Dublin, swapped with the Thibauds and completed a purchase agreement for Tinakilly House. The Garland’s redecorated Tinakilly and ran a successful restaurant. Dermot tragically died leaving Anne to struggle on with their two young sons. In 1982 Tinakilly sold to William & Bee Power, who decided to develop a full hotel putting bathrooms ensuite and installing a modern fully equipped kitchen. Redecorating and furnishing of the hotel was undertaken by William & Bee to ensure the homely Victorian character so evident to the visitor today. Great care has been taken in all reconstruction work to maintain the nautical theme. Bedrooms were named after ships. In 1991 the Power’s constructed 15 suites all overlooking the Irish Sea and Broadlough Bird Sanctuary. Sunrise is a spectacle to behold. The Victorian Halpin Suite was developed to cater for conferences and weddings. In 1997 the East wing was extended northwards with the addition of 24 suites and a lift, bringing the total compliment of bedrooms to 51. Also in that year, a new dining room, the Brunel, was built to the west of the house. All of this work has been architect controlled to ensure the true character of Tinakilly is maintained. In January 2000, Tinakilly was taken over by William & Bee’s son and daughter-in-law, Raymond & Josephine. In 2013 Tinakilly House changed hands again, the owners are passionate about this grand country manor, adding refreshing touches through out the house but always in keeping with the character. The Great Hall is alive again with chatty conservations over afternoon tea, the Brunel restaurant and menus are refreshing, wedding guest fill the house with laughter and joy. So check back with us to see the old and new meld to give this beautiful Victorian manor a new chapter in history. The name Halpin is still honoured in Wicklow Town but outside its environs too little is known about his services to telegraphy. Robert Halpin, the youngest of 13 children, was born in the Bridge Tavern, Wicklow, on February 16th 1836, to James & Mary Halpin. His father, James, was the proprietor of the small tavern (built 1702) and the family were reasonably wealthy. From an early age, Robert showed a great fondness for the sea and everything connected with it. He received his early education at a private school on nearby Leitrim Place, possibly that of Ellen White, The Murrough, recorded in Slater’s Directory of 1846. Halpin seems to have shown little interest in formal education and with his imagination fueled by exciting tales of faraway lands as recounted by mariners in his father’s tavern, he left home at the very early age of 10 for a life at sea. When he joined the brig Briton, it was engaged in the Cumberland coal trade. It was shipwrecked off Bude in Cornwall in 1851 and many hands were lost, but young Halpin managed to scramble ashore. Undeterred by this early disaster, he was beginning to earn a reputation as a seaman and he joined the crew of the 388 ton barque Henry Tanner. Later the same year the Henry Tanner was on the Britain to Australia run, Halpin’s maiden voyage to Australia, when a strange happening occurred. The docking coincided with the Australian Gold Rush of 1852 and more than half of the crew jumped ship to seek their fortunes in the gold fields. Unable to muster a crew the Henry Tanner was forced to remain in port until the enthusiasm of the prospectors wore thin and they returned to their posts. Halpin then joined the ship Boomerang as a Third Mate. The Boomerang worked on the Liverpool to Melbourne to Kio (Ecuador) run and back to Britain. The returning cargo for the Boomerang was “guano” (bird-droppings) which made wonderful fertiliser and huge profit. Promotion followed for Halpin when he transferred to The Salem as Second Mate. He worked on the wool clipper on the Australian run until he made a bold move in 1858 when he transferred from sail to steam. Halpin farsightedly believed that steam was the power of the future and he became first officer on the Khersonese. When he was still only 22 years of age he was given command of the SS Propellor and later joined the Circassian, both steamships of the Atlantic Royal Company. 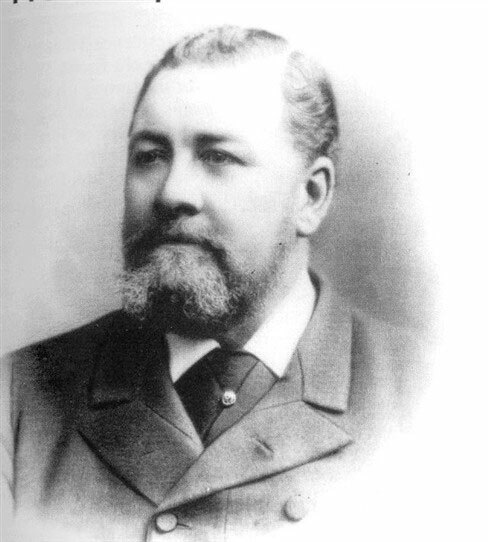 In 1858 Robert became involved in a new venture. A new sea route had opened up from Galway to St John’s, Newfoundland, which was the quicker and shorter Atlantic crossing. Emigration from Europe to North America was the new “cargo” and was operating on a massive scale from the major emigration ports of Liverpool, Hamburg and Galway. By 1859 the new Galway line was prospering and the darling of the fleet, the SS Argo was under the command of Robert Halpin aged 24 years. However, disaster struck in August 1859 when in thick fog on the Newfoundland fishing banks, the Argo struck an iceberg and sank. The pride of the fleet was lost and resulting from the subsequent enquiry, Halpin lost his master’s ticket. Despite the setback, it in no way dampened his enthusiasm for life on the ocean wave and in 1860 the Spanish Government commissioned him to deliver two troop ships, the Isla de Cuba and the Isla de Puerto Rica, to South America. When the American Civil War broke out, Halpin saw an opportunity for exercising his adventurous spirit in another way. He ran the Yankee blockades bringing supplies to the Confederates and returning with cotton to Europe. In 1864 he was forced to run his ship aground to evade capture but was detained by Northern Officials. However, as the case against him was unproven, he was released. It was then that Robert Halpin began his association with the famous steam ship The Great Eastern. 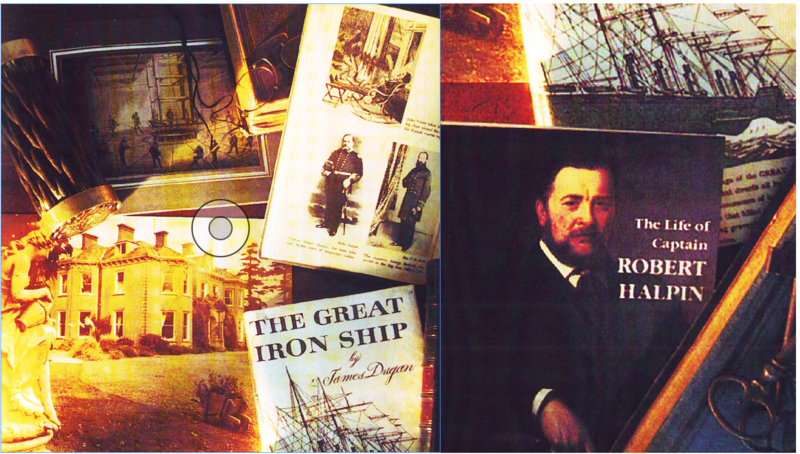 In his book “The Great Iron Ship”, author James Dugan says the first and in some ways the most interesting of the ocean liners was The Great Eastern, brainchild of the legendary Isambard Kingdom Brunel. It was certainly the new wonder of the world when it was launched at the Isle of Dogs, Kent, on January 1st 1858. She was 693 feet in length (over 200 metres), 22,500 tons of dead weight and with passenger accommodation for more than 3,000 passengers was five times larger than any ship yet built. She had six masts named Monday, Tuesday, Wednesday etc …, five funnels, 6,500 yards of sail, two 58ft paddle wheels, a 24ft screw (the biggest ever built before or since) and a coal carrying capacity of 15,000 tons. In the 1860’s there was a great interest in telegraphy – the linking of Europe to America by telegraphic cable. Pioneered by Cyrus Fields, all mainland Europe had been connected by telegraphy as had Europe to Britain and Britain to Ireland. A company was formed which took over the task of converting The Great Eastern into a cable layer and Halpin applied for and was given the post of First Engineer. The task facing the company was to lay a submarine cable from Valentia Island, Co Kerry, to Newfoundland. 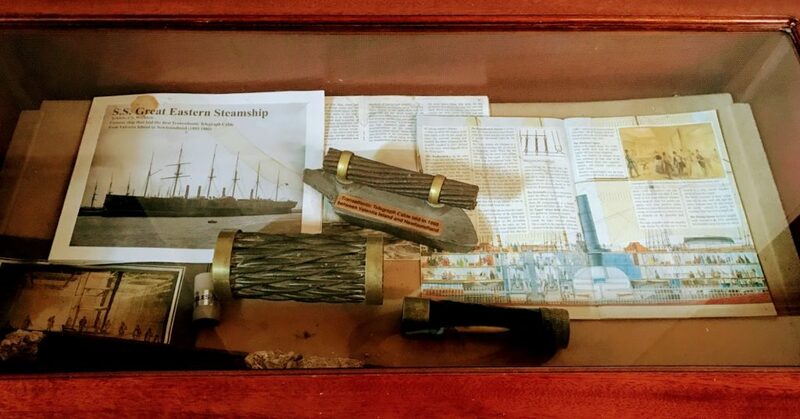 The cable, all 2,600 miles of it was stored in the ship’s two tanks and weighed 6,000 tons. One thousand eight hundred and sixty two miles from Valentia, the cable broke and The Great Eastern had to return to Europe. Rumour has it that the price of shares on the stock exchange hit rock bottom and that Halpin purchased many in hope (or expectancy) of making a killing. 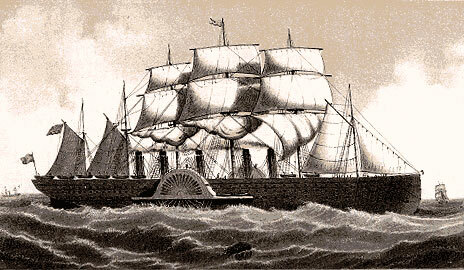 In 1866, with Robert at the helm, the ship returned to the exact spot and grappled up and repaired the broken cable. In July, The Great Eastern arrived at Hearts Content, Newfoundland, completing the connection between the two continents, which has never been interrupted since. Halpin was now a pillar of society despite an enquiry in 1871 into his Civil War escapades which, through the assistance of his brother Richard, he managed to cloud successfully. Financially he was very well off and by the mid 1870’s he had achieved everything there was to do at sea. He even produced a pamphlet called “Good Guidelines for Mariner’s”, which advised against drunkenness and proposed that all seamen should undergo a medical examination prior to departure. The idea was to reduce early shipping disasters, which he felt were often due to the effects of the abuse of alcohol. 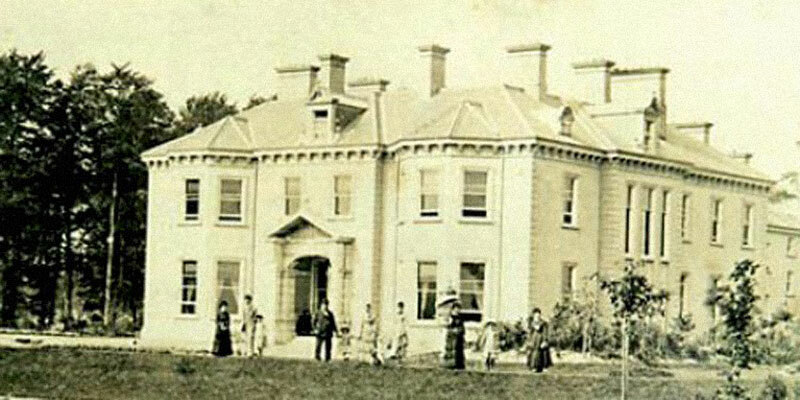 In 1876 Tinakilly House was built by Robert Halpin who was now Chairman of the Wicklow Gas Company, a member of the Harbour Board and a huge influence on the early days of the Wicklow Regatta. He was persuaded against better judgement to become involved with politics. Home Rule was the topic at the time and Halpin stood for the Unionist ticker and genuinely expected to win. The results were a great shock and disappointment to him. The winner was Sweetman who was the Anti-Parnell Home Rule candidate. Halpin managed to defeat the outgoing Parnellite Home Rule candidate, Corbett. Some years later in 1894, at the early age of 58, Robert Halpin passed away in Tinakilly House, reportedly from gangrene caused by a slight accident which had occurred while cutting his toe nails. Buried in the Church of Ireland graveyard on Church Hill, a debate soon arose as to how he should be commemorated in his hometown. Eventually a tall granite obelisk was erected on a plot of land donated by Lord Fitzwilliam and since called Fitzwilliam Square. “Civi Emerito Civitas Genitrix” (meaning “The state is mother to the worthy citizen”) is written on the monument. In Halpin’s case it was.